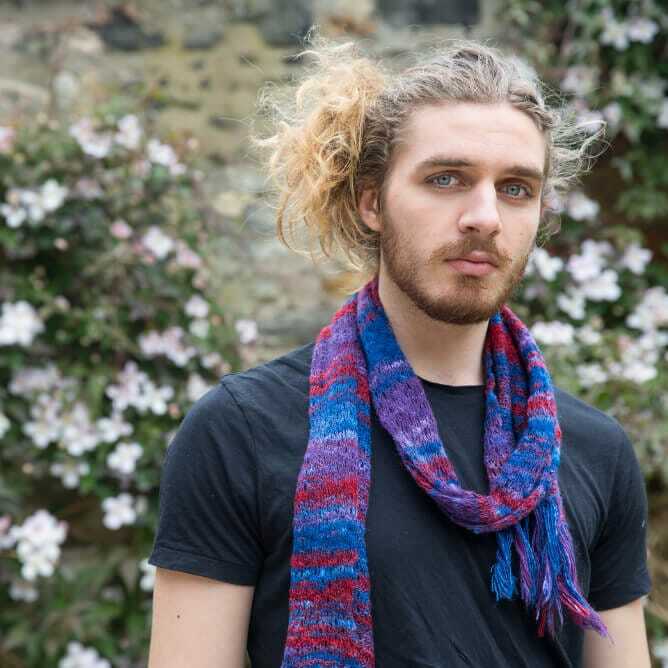 A stunning hand-knitted scarf to keep you or your loved ones cosy during the winter, in rich autumnal palettes. 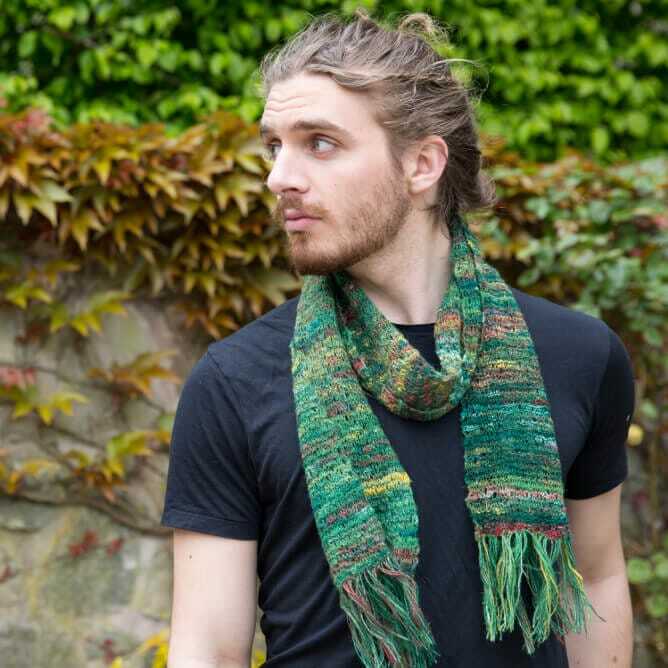 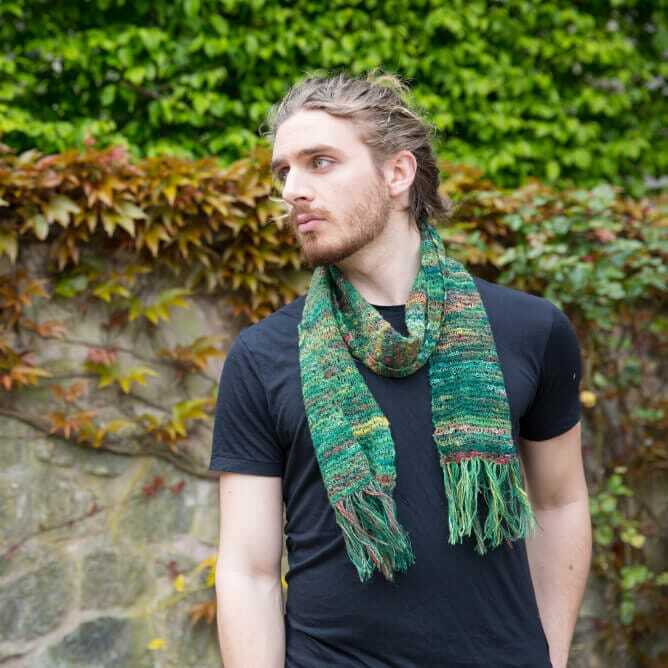 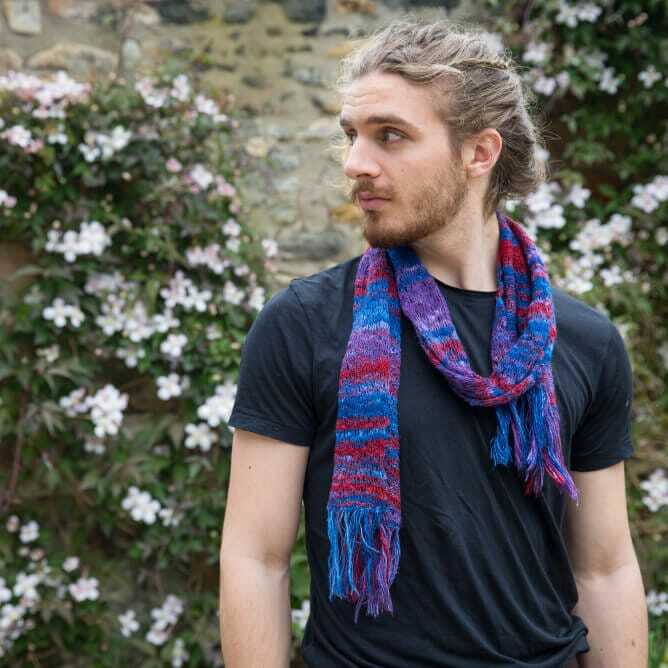 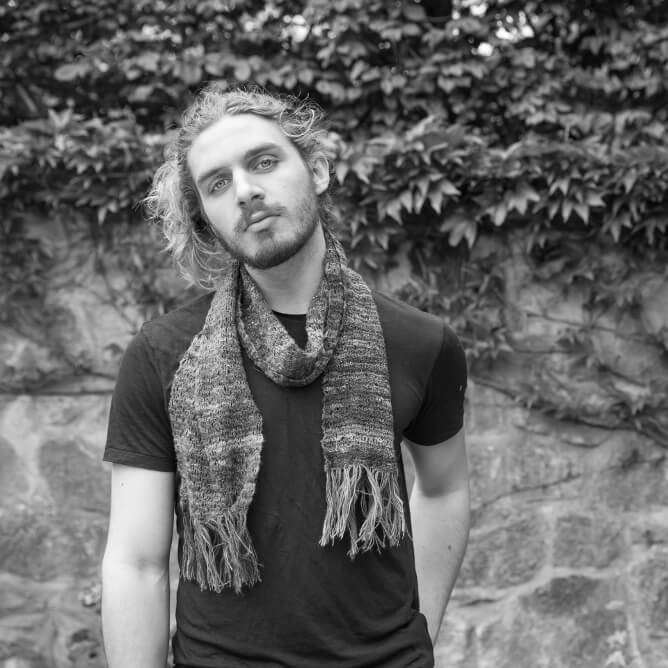 This fine scarf is hand-knitted in yarn hand-spun from wool and silk. 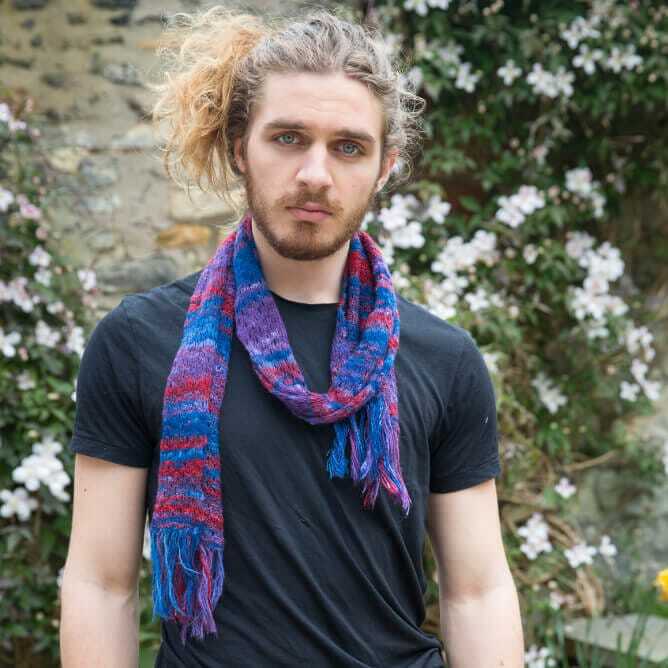 It is very soft and light, but not lacey, making it ideal for anyone who loves hand-knitwear but doesn’t want a frilly finish. 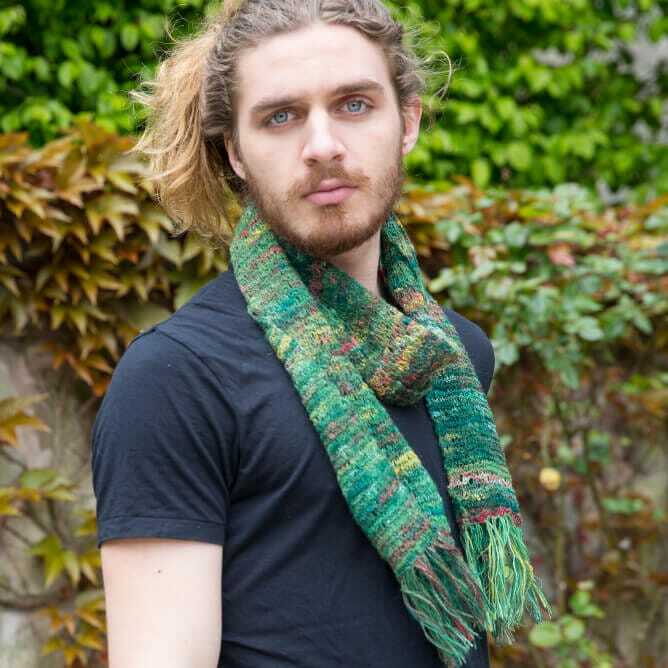 It measures approximately 25cm x 185cm excluding the fringes.